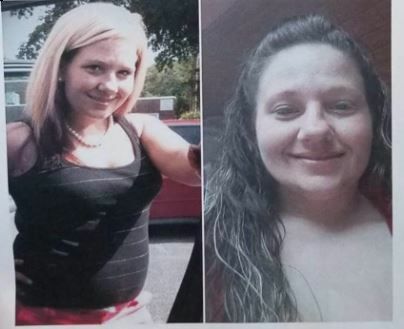 A sprawling investigation into the disappearance and death of a young mother in Colleton County this month yielded a cause of death on Friday: strangulation. Tony Jones, a spokesman for the Colleton County Sheriff's Office, confirmed the cause of death and also announced that authorities had arrested a seventh suspect in connection with the case. Shannon Fisk Steinbronn, 49, was charged with one count each of impersonating a law enforcement officer and obstruction of justice, Jones said. "Beginning on Aug. 19, and continuing through today, an unidentified female called multiple persons involved in the investigation, identifying herself as a (State Law Enforcement Division) agent and law enforcement officer," he said. "Calls were made to family members and potential witnesses, during which this female attempted to convince individuals that the Colleton County Sheriff’s Office did not have the family’s best interest in mind." At one point, the person later identified as Steinbronn called Colleton Medical Center and tried to find details about the victim, 30-year-old Ashley Murdaugh, such as her blood type, injuries and manner of death before her remains had been located, Jones said. Investigators from the Sheriff's Office, as well as SLED agents, identified Steinbronn as being behind the calls on Thursday and arrested her at 10 a.m. on Friday, he said. The body of Ashley Murdaugh, 30, was found on Tuesday, buried in a wooded area beside a home at 46 Cumberland St. near Walterboro. She was reported missing by her sister-in-law on Aug. 8 after she failed to show up for her child’s birthday, according to an incident report. The child lived with the sister-in-law and Murdaugh’s grandmother. Six suspects were arrested on Wednesday in connection with the homicide, which investigators believe was tied to narcotics. Cynthia Caron, 53, Alfred Taylor Jr., 23, and Martina Wolf, 30, each face one count of first-degree murder, said Capt. Jason Chapman, who oversees criminal investigations for the Colleton County Sheriff’s Office. John Dunigan, 53, Wayne Moore, 55, and Tammy Lott, 46, each face one count of being an accessory after the fact to murder, Jones said. Through their investigation, authorities determined that Caron owns the home where Murdaugh’s body was found, that Wolf is Caron’s daughter and that Taylor is Wolf’s boyfriend. Murdaugh lived at the home for about two weeks before she was killed. Wolf and Taylor also lived at the home, according to court records.